One of the more ambitious spring campaigns has been unveiled after a former English hurdler made a winning Australian debut at Canterbury. As absurd as it would sound to most racegoers in this part of the world, High Bridge emerged as a horse to follow from Wednesday’s meeting at an age when most are looking at retirement. Tried only once on the Flat in England, eight-year-old High Bridge gave his rivals a staying lesson in the TAB Rewards Handicap on Wednesday. And it’s not likely to end there with a master horseman as his trainer in Chris Waller as well as world-renowned bloodstock expert John Ferguson as a part-owner. UK-based Ferguson recommended High Bridge as an ideal stayer for Australian conditions, prompting successful importer OTI Racing to become involved. The fact that Ferguson, a former kingpin at Godolphin, joined the Australian ownership group is a tip in itself for a horse whose sire Monsun has left three of the past five Melbourne Cup winners. 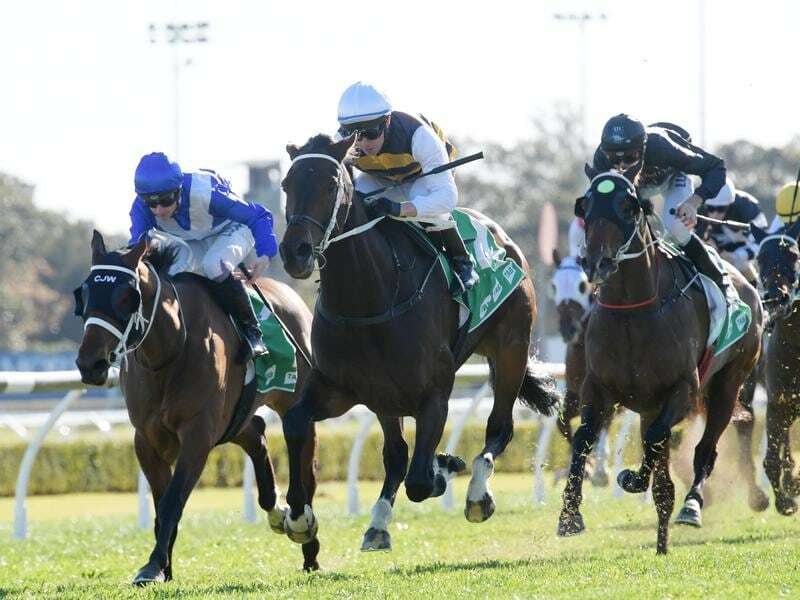 It seems Waller will give High Bridge every chance to be Monsun’s fourth despite a northern hemisphere background of mostly national hunt racing that delivered six wins over obstacles. “He’s a good jumper, outstanding, and he was mentioned by John Ferguson that he could be a potential Cups horse,” Waller said. “We won’t get carried away after today but that’s the plan. “Whether it’s a (Melbourne) Cup or a Sydney Cup we won’t be complaining but you’ll just see him go from strength to strength. High Bridge stepped out over 1900m at Canterbury – a distance thought to be short of the gelding’s optimum. But a frantic tempo helped High Bridge’s cause and the $11 chance chimed in late before running away to win by 1-1/4 lengths under two-time Melbourne Cup-winning jockey Kerrin McEvoy. For High Bridge to have a realistic shot of even making the Melbourne Cup field the equation is simple: keep winning. “He just needs to get his rating up now,” Waller said.